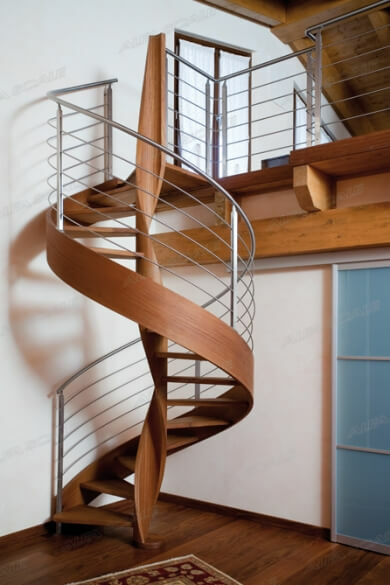 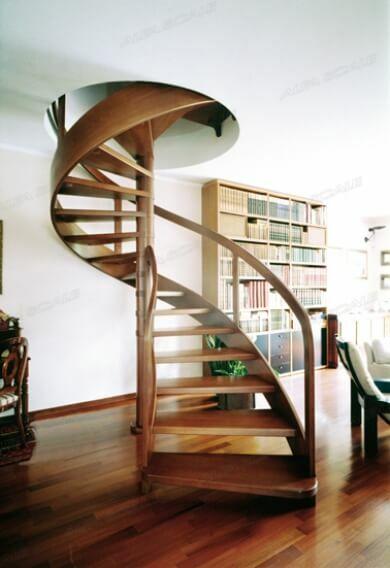 Wooden spiral staircase with helical pole, helical band wrapping the steps. 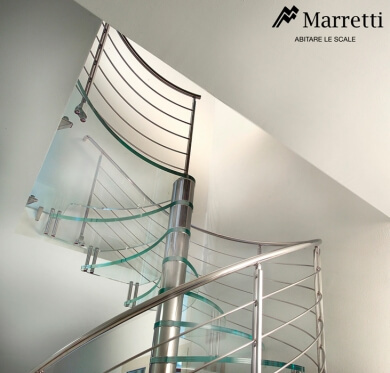 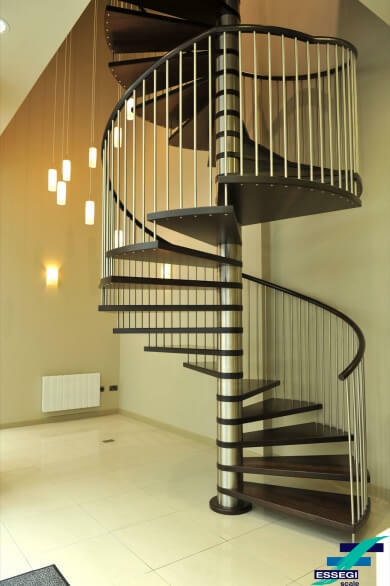 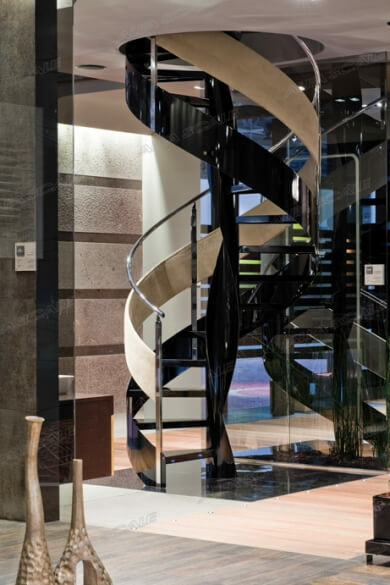 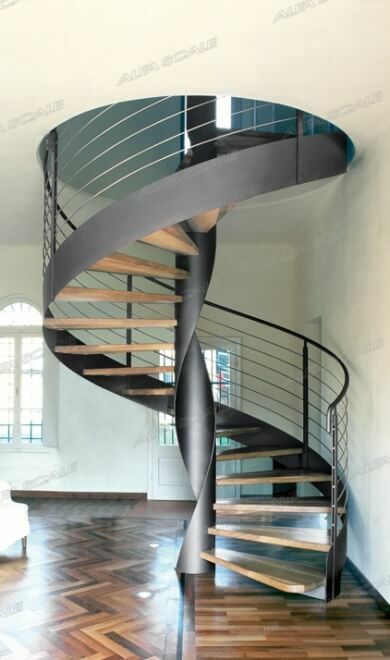 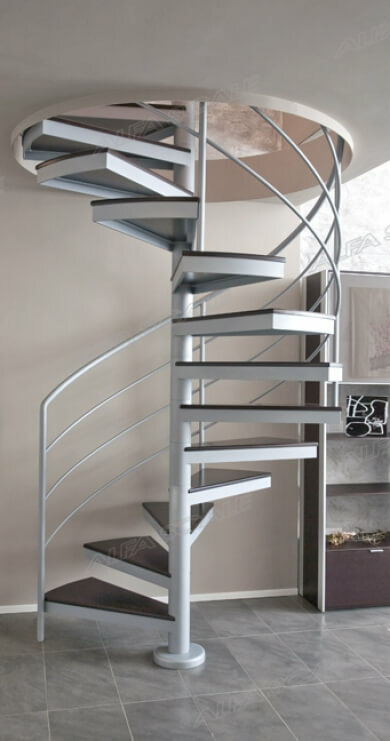 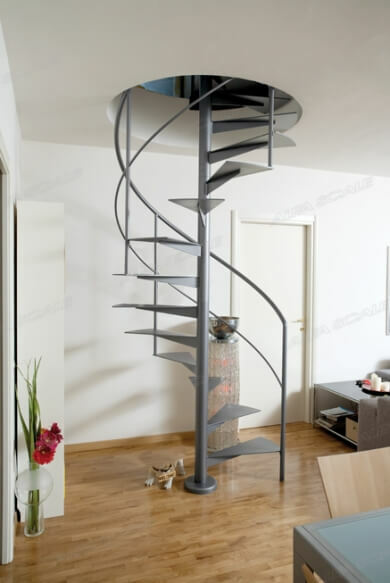 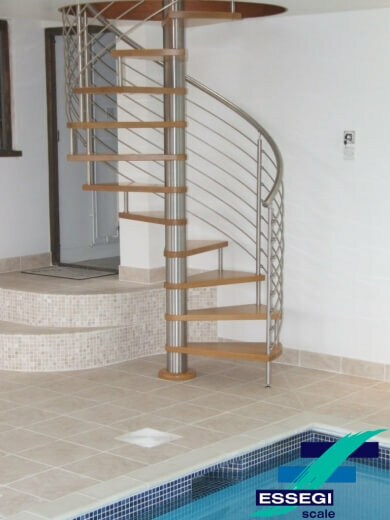 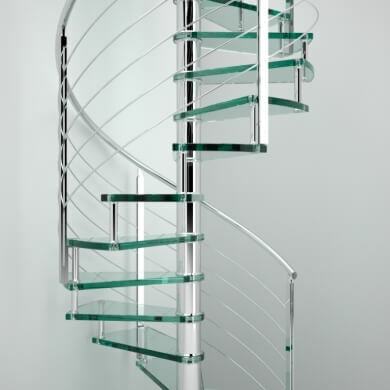 Spiral staircase in enamelled steel, tread in solid wood with frame. 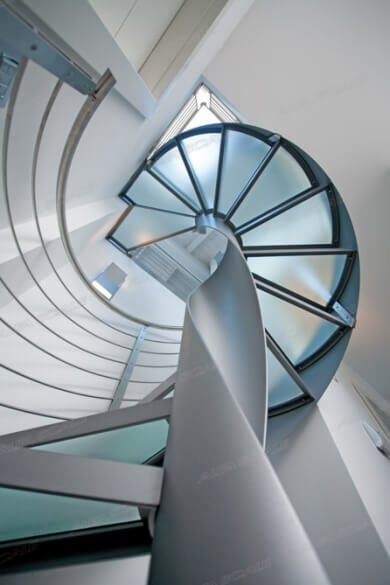 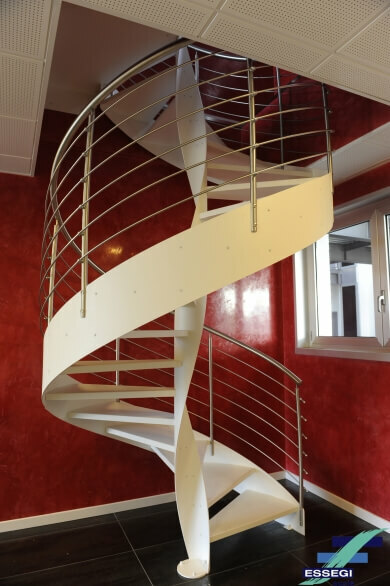 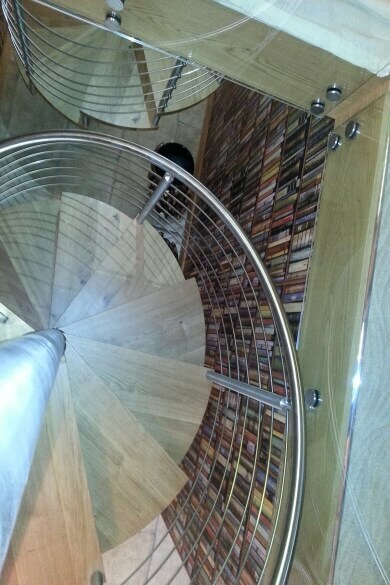 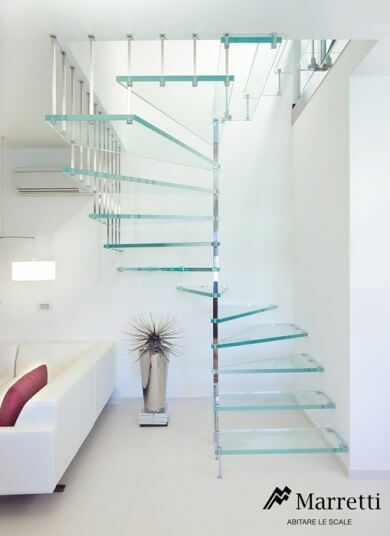 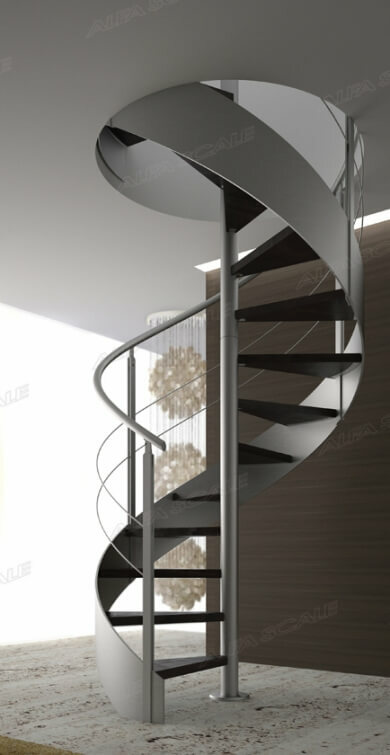 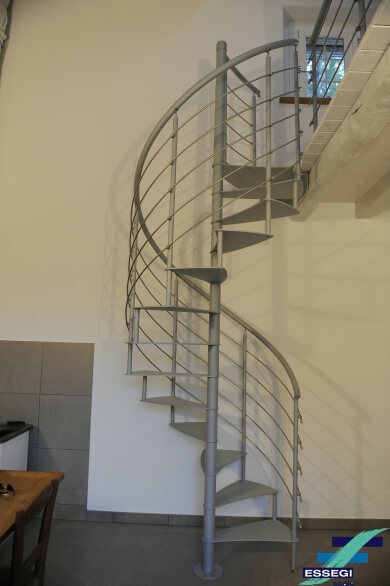 Spiral staircase in enamelled steel with helical pole, tread in ply glass with frame, helical band wrapping the steps.